Townsend Atelier grew out of a deep passion for art, for artists, and for quality art materials. Located in the newly refurbished Arts Building in downtown Chattanooga, TN, our facility has a retail store chocked full of fine art materials and over 2,000 square feet of gorgeous light-filled studio space where we teach classes and workshop to all ages and levels. Click here to visit our on-line store | We ship nation-wide. With our thirty-five years of combined experience in the art and materials fields, Townsend Atelier provides unique mold-making products and professional expertise to customers across the globe. Our products include: Knead-a-Mold, Brush-a-Mold, Townsend Casting Resin and Pourable Mold. We supply materials to fine artists, sculptors, architectural and frame restorers, hobbyists, jewelers, taxidermists, model and prototype makers, candy makers, soap makers, candle makers, doll makers, puppet makers, and more. 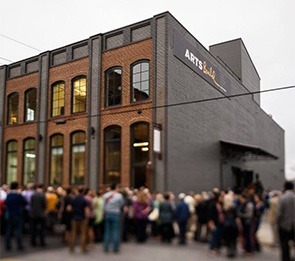 Located in the heart of the burgeoning art district in Chattanooga’s Southside, Townsend Atelier offers art classes and workshops throughout the year. 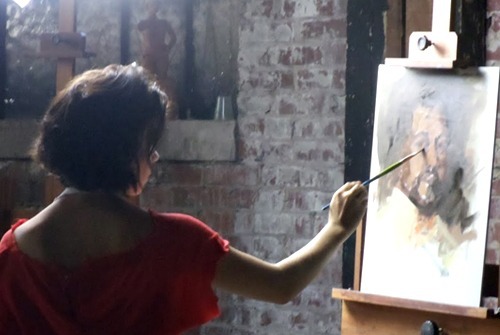 We have a wide variety of art instruction for the beginner and for the professional artist. Taught by professional artists and art educators, we offer instruction in painting, drawing, sculpture, print making, mixed media, and a weekly open figure drawing studio. For students traveling from out of town, Townsend Atelier is conveniently located near a variety of accommodations and dining options.